Drought in Oklahoma and the rest of the southern plains the last two years has made management decisions for cattle producers challenging to say the least. Decisions that are effected by lack of standing forage, high feed prices, the absence suitable drinking water and thankfully, for the most part, high cattle prices. Producers have mixed feeling about weaning and precondition practices in times of drought. Some believe input costs restrict profitability and they can market a calf directly off the cow without risk. While others will not market an animal till they know it is straight no matter what the cost. Whatever the thought, the question remains the same… are weaning and preconditioning programs still profitable? The answer is yes, if done right. Pre-weaning health and nutrition of calves have significant impact. Virtually all early life disease protection comes from passive immunity of immunoglobulin in colostrum and lack of passive immunity to a calf makes it three times more likely it will be treated for BVD in a feedlot. Unfortunately, calf blood immunoglobulin concentration immediately following birth is decreased when the dam is in negative energy balance and lower body condition, like she may be in drought (Odde, et al., 1986). This is a reflection of the substantial increase in morbidity and mortality we have seen this winter in feedlots and grower yards. Many producers brand calves at two or three months of age. This may also present opportunity to vaccinate calves at “branding” and help increase protection from respiratory disease within the cow herd. Early weaning of calves at 6-8 weeks of age is a good way to reduce nutritional needs of your mature cow herd while at the same maintaining body condition to prepare cows for breeding season or increase salvage value if a producer is culling the herd due to drought. 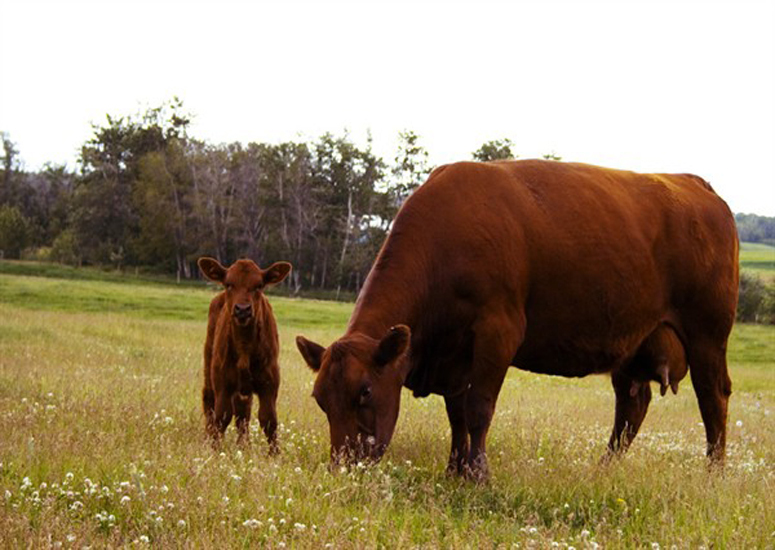 Early weaned fall calves may be a nice option if producers are waiting to see if standing forage is available for calves in the spring. They will still gain fairly well and if drought persists, with little forage available, calves can then be marketed. Spring calving cows can be a little trickier. A producer must calve out those calves in early spring and hope forage is available throughout the summer for pairs. Once old enough calves could then be weaned early, and turned out on cool season grasses such as wheat or rye translating into high rates of gain on high quality forage. Facilities play a major role in the decision to proceed with a preconditioning program of ranch raised calves and finding ways to reduce stress on cattle is the most important factor in a successful weaning program. Traps and pens don’t have to pretty just functional. This includes easy access to water for cattle and easy access to feed bunks for a producer. In choosing a location to wean calves, it may be important to think about using a fence line weaning system to reduce stress and having fences durable enough to maintain separation. After the initial “bawl” is out of the calf and the calf is comfortable finding water and using feed bunks it may be beneficial to turn out into a small trap. This will allow calves more room out of dust or mud, but still allow producers to keep a close eye on calves in case they “break” and need to be doctored. The next article (Part II, next week) will look more in-depth at the affects of the nutritional program during preconditioning, costs associated and also the importance of marketing cattle after weaning.